The University of Missouri-Kansas City has been recognized as one of the nation’s top 75 “Best Value” public universities, for the third year in a row. The annual recognition by The Princeton Review cites colleges and universities based on its analysis of more than 30 data points, with cost data reflecting school-reported figures for 2013-14. The company also factors in data it collected over the past three academic years from its surveys of students about their satisfaction with their financial aid awards and academic experiences at their schools. 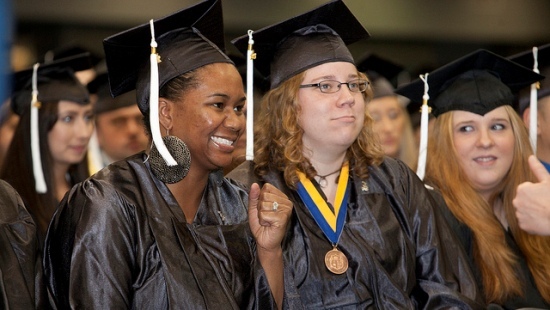 The Massachusetts-based education services company profiles UMKC in its just-published book, “The Best Value Colleges: The 150 Best-Buy Schools and What It Takes To Get In;” and online at http://www.princetonreview.com/best-value-colleges. Details on all the schools are also available on USA Today’s website. The list of 150 schools is divided into the top 75 public schools and the top 75 private schools. The only other Missouri public university to make the top-75 list for 2014 is Truman State University in Kirksville. Washington University in St. Louis made the top 75 list for private schools. For the second consecutive year, no universities in Kansas made either list. Tags: Best Value, The Princeton Review. "We work very hard to provide our students with the right balance of quality and affordability. It’s great to see those efforts recognized by the Princeton Review, and even more gratifying to see it reflected in our growing enrollment, retention and graduation rates."